According to old German custom, new neighbors are welcomed with bread and salt. With this original principle of neighborly help, the car sharing provider Oply is now pushing into a competitive market. The TROPEN accompanied the young family in the midwifery activities and stayed close to their expectant parents until the birth of the brand. 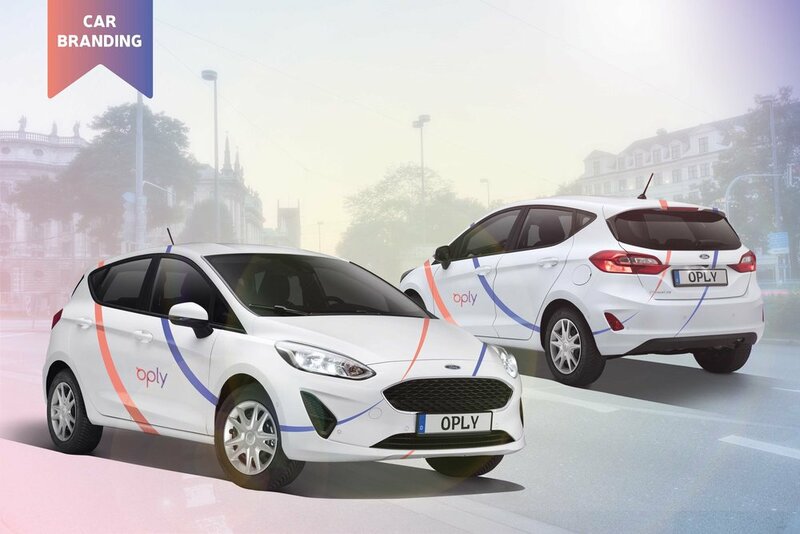 Oply combines the spontaneity of car sharing with the reliability of a classic rental car. Hence, this is an opportunity for all those who can't wait for Dorothee Bär to make her breakthrough in flight taxis. Oply works according to the motto: less is more. And if you want more, take Oply to the sea. Afterward, you park your car where you picked it up. The idea of the cycle is also illustrated in branding. To do justice to Oply's fresh approach, we have launched the campaign Your Neighbor on Wheels together. From the conception of the website to the car-branding, all the assets come from Tropen. With an Out of Home campaign, we made sure that everyone in the hood knows: Oply is the new neighbor. Of course without being intrusive, because Oply is one thing above all: The best neighbor you've never had - always there when you need him and otherwise almost invisible. • An out-of-home campaign including the claim "Your Neighbour on Wheels"